The Indy Jacket from First Manufacturing is constructed from drum-dyed naked cowhide and features plenty of places to stash your necessities. 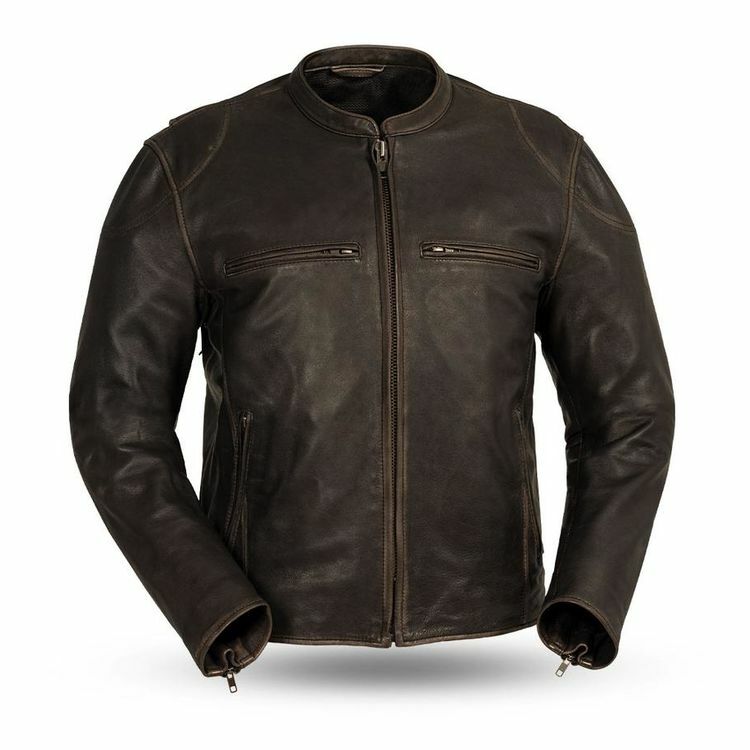 The Indy includes pockets for optional shoulder, elbow and back armor in addition to Dupont™ Kevlar® reinforcements on the shoulders and elbows. Chest and back vents work in tandem with the Indy's mesh lining to keep you cooler during warmer rides. Finally, side-belts offer a bit of adjustability for a truly customizable fit.